Britain's fourth biggest supermarket chain is facing a shareholder backlash over boardroom pay despite the transformation of its financial performance under a new management team. Sky News has learnt that Wm Morrison is braced for a significant investor revolt at its annual general meeting next week after a leading voting adviser recommended opposing its pay report. 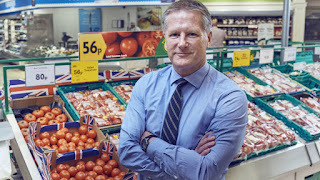 ISS, whose judgements can influence around 25% of a company's shareholder base, has expressed concern that a long-term share award for David Potts, Morrisons' chief executive, was increased from 240% of his salary to 300% even as performance targets have been reduced. The ISS report threatens to turn the grocer's AGM into a stage for the first significant protest over executive pay since this week's General Election. Theresa May, who intends to lead a minority government with support from the DUP, made reforming boardroom pay a significant domestic policy priority, repeatedly referring to it during her personal leadership campaign and in the months since. However, a number of big City investors said they were unlikely to follow ISS' advice given the turnaround in Morrisons' performance. If there is a big vote against the pay report, it would be advisory, rather than binding - a model which Mrs May could seek to change if she pursues remuneration reforms during the new parliament. 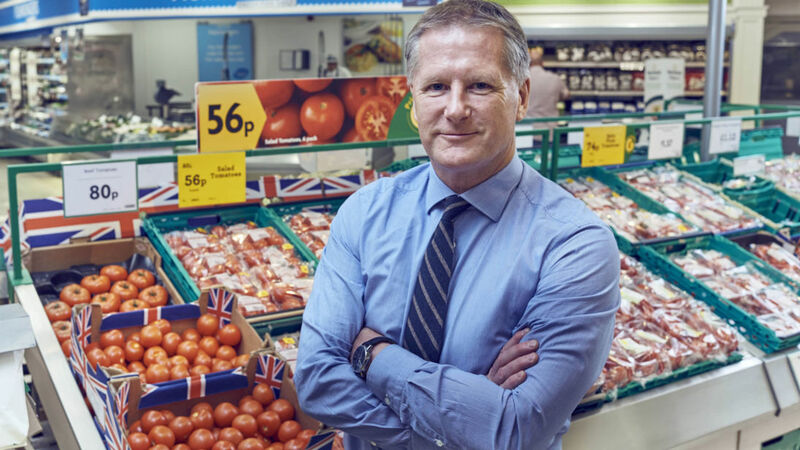 Mr Potts, a former Tesco executive who joined Morrisons in 2015, has sought to improve the chain's availability and price competitiveness following a difficult period under his predecessor, Dalton Phillips. In the last financial year, Morrisons produced its first year of positive like-for-like sales and underlying pre-tax profit growth since 2011-12. It has also halved its net debt in the last two years, while its shares are up by almost one third during the last 12 months - adding more than £2bn to its market value. One source pointed out that in the context of that value created for investors, the additional post-tax monthly sum payable to Mr Potts under the revised share scheme amounted to just £6,000. Mr Potts was paid a total of nearly £2.8m last year, up from just over £2.2m the year before. In a letter to shareholders seen by Sky News, Andy Higginson, Morrisons' chairman, defended the changes. "An important piece of context is that in moving to a 300% award, our normal LTIP grant of 240% is below market median (275%). "We do not believe that anything about the current performance of management, or the scale of the turnaround, is average and have therefore opted for an award level that reflects the opportunity to create long-term sustainable value for shareholders." Mr Higginson, himself a former Tesco executive, added that Morrisons had thought carefully about changes to its boardroom pay schemes, but argued that "the delivery of the turnaround plan since David Potts was appointed has exceeded most expectations". He also said that the prioritisation of short-term profit growth and margin by grocers "was partly to blame for the industry allowing the discounters to undercut on price and grow market share". Morrisons, which declined to comment on Friday, is also asking investors to table binding votes on its three-year remuneration policy at next week's AGM - with ISS advising shareholders to vote in support of the resolution.